Fitted with beamed ceilings, tiled floors and wrought-iron beds, the studios and apartments of Victoria have a kitchenette with fridge and cooking hobs. Each unit is equipped with air conditioning and a TV. The private bathroom comes with a shower. 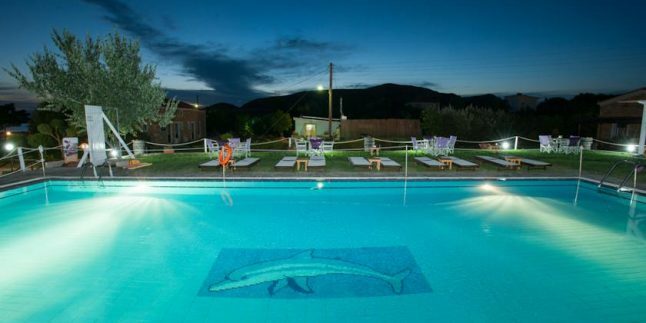 Guests can relax at the free sun loungers by the pool or at the beach and enjoy a morning coffee or a night drink from the property’s snack bar. Restaurants, bars and mini markets can be found within a short walk. Villa Victoria is situated 2 km from the lively Myrina Town and its port and just 500 metres from the centre of Platy Village. Limnos International Airport is at 20 km. Free Wi-Fi is available in public areas and free private parking is possible on site.